AIM-FORCE SDN. BHD. 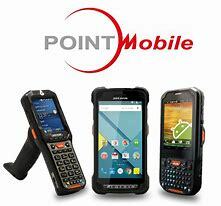 has been upgraded as a Authorised Partner of Point Mobile Co., Ltd. from year 2014. The Intermec CN70 and CN70e Ultra-Rugged Mobile Computers are ideal for field-mobility applications that demand a compact form factor with no compromise on ruggedness. Through the use of proprietary modules and technology, the e-Enforcement solutions are able to streamline most of the operations of a local enforcement council be it with regards to the issuance of parking summons.